History was made today when the Nobel committee announced that Canadian Ralph Steinman will receive the Nobel prize for Medicine…. even though he died on Friday. The committee did not know that he had died, and of course Dr Steinman did not know that he was about to win. The moment is historic because many times in the past, the Nobel committee has refused to offer posthumous awards. This has simplified their task considerably, and has also made their role even more controversial. But in this case, no one is going to argue that it was the right thing to do. If you need a loophole to allow it, then one can consider that the decision to award him was made while Dr Steinman was still alive. Maybe that should be the new standard. On another medical note, I want to draw attention to the story of Dr. Rodney Willoughby, Jr, pioneer of what is today called the Milwaukee Protocol, which is the world’s first system for treating rabies without a vaccination. 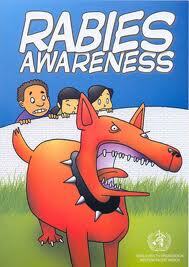 Rabies has been one of mankind’s worst scourges for centuries, if not millennia. Until the development of the rabies vaccine in 1885 by Louis Pasteur, to be bitten by a rabid animal was a death sentence. Pasteur’s formulation, and its successors, have since become, not only a prophylaxis, but also a treatment, which is effective for a brief period after first exposure. In 2004, a 15 year old American girl names Jeanna Giese went to the hospital complaining of some neurological symptoms, more than a month after having been bitten by a bat. Jeanna’s condition declined rapidly and her status as rabies positive was confirmed, leading to her physicians to declare that she would be dead in days, if not hours. 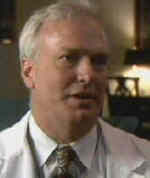 She fell into the care of Dr Rodney Willoughby of the Children’s Hospital of Milwaukee. Frantic for any kind of treatment, Willoughby found what the media typically describes as “an obscure paper on the internet.” The paper essentially suggested that rabies victims die of brain failure before their natural immune systems have sufficient time to destroy the virus. So Willoughby made the innovative conceptual leap to try to protect Jeanna’s brain while her body did the hard work. His solution was to put her into a coma and hope that that would protect her brain. It was a low probability shot, and Jeanna’s parents are commended for having decided that, even if Jeanna died, what will have been learned from the attempt might enable the new protocol to be refined for the next victim. Ten days into the coma, Jeanna opened her eyes. She was cured. “Cure” is a problematic word. The virus had “rewired” her brain. She had to re-learn how to walk and speak. Even today her speech is slowed, and she has blocks of missing memory. But she is alive and functioning. In fact, earlier this year, Jeanna Giese, the first known survivor of a full-out rabies infection graduated from college. Willoughby’s treatment regimen has since been named the Milwaukee Protocol. It has been refined since Jeanna’s historic recovery, and has been used to save the lives of five other individuals. It is important to note that most people, even those indertaking the new protocol, do not survive. I want to draw attention to an often overlooked aspect of this story. It is true that after many centuries of effort, only now has someone managed to cheat rabies. One of the reasons for this is…. information. Specifically, the internet. Willoughby had mere hours to figure out a viable regimen. His ability to access all knowledge on the topic of rabies, at lightning speeds and at the touch of his fingers, allowed him to find the one study that gave him the idea of inducing a coma. So first, someone had to have had the wherewithal to write down his theories about rabies, brain health and the immune system. Second, someone else had to have had the good sense to publish those theories. And lastly, the information revolution called the Internet put that paper at the fingertips of Dr Willoughby, and medical science was revolutionized. The free flow of information, the sharing of scientific knowledge and opinion, saved Jeanna Giese’s life, and may have finally conquered one of humanity’s oldest foes. Previous PostWeekly Twitter Tweets for 2011-10-03Next PostKneel Before Luthor!